It’s MEGA! The Campbells perform their Mega Medleys show. The selection of songs covers the eras of the 60’s up until today’s modern radio tracks and everything in between. 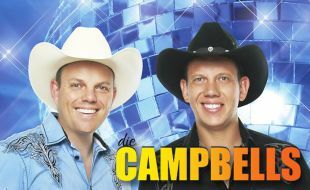 The blend between well know English and Afrikaans favorites and familiar Campbells songs creates the perfect party and every song was a number one hit. The Campbells will have you clapping, dancing and singing along. Get ready to be entertained by the Campbells with – Mega Medleys.